Faculty at the Lilly Family School of Philanthropy come from a diverse set of disciplines. Faculty have backgrounds in economics, sociology, psychology, social work, history, and many other fields. This diversity lends itself well to philanthropy, which itself has been studied from many different perspectives. Lilly Family School of Philanthropy faculty have published these recent books and articles. A "one size fits all" strategy is not effective when it comes to philanthropy and fundraising in today's diversified environment. 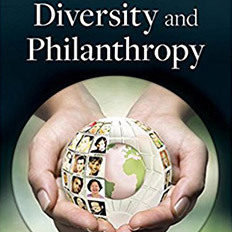 This book enables nonprofit leaders, board members, staff, and volunteers of nonprofit organizations to better reach diverse populations and incorporate perspectives that increase success by surveying the cultural context for philanthropic action. 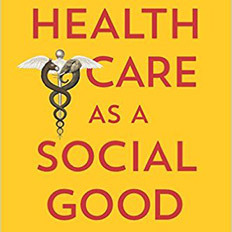 Health Care as a Social Good: Religious Values and the American Democracy argues that as escalating health costs absorb more and more of family income and government budgets, we need to take stock of the full range of health care values to create a different and more affordable community-based health care system. This thoroughly revised and updated edition of the classic book in the field provides a conceptual foundation for the fund raising profession. 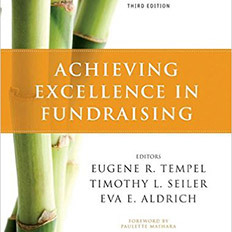 Guided by the enduring philosophy of fundraising master Henry A. Rosso, contributors explain the reasoning behind the planning and selection of strategies for all fundraising activities. Religion in Philanthropic Organizations: Family, Friend, Foe? 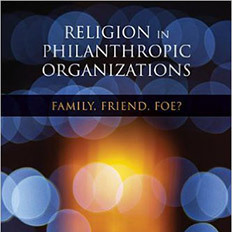 Religion in Philanthropic Organizations explores the tensions inherent in religious philanthropies across a variety of organizations and examines the effect assumptions about "professional" philanthropy have had on how religious philanthropies carry out their activities. The Research department within the Lilly Family School of Philanthropy produces working papers representing their work with philanthropy and nonprofit sector projects. These papers identify emerging trends, challenge conventional wisdom, and provide invaluable insights into the work of philanthropic organizations and practices. The content of these papers may have been submitted for publication in academic journals or presented as conference proceedings. Interested in a research grant? Learn about the Lilly Family School of Philanthropy Research Fund.